Seated goddess. 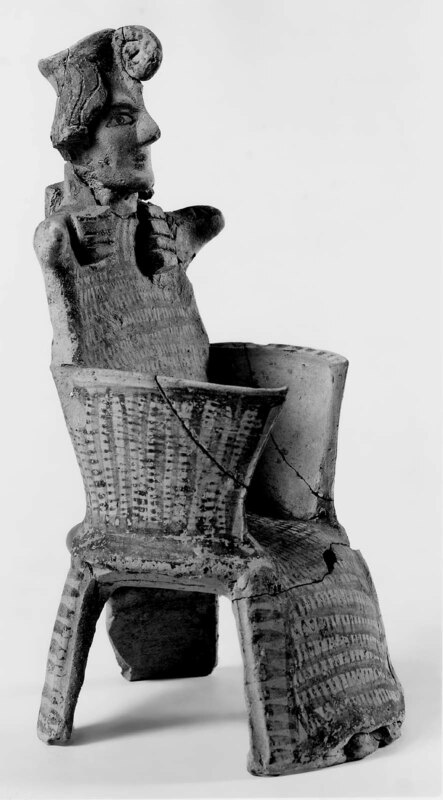 Figure of “sanis” type, seated in a circular chair with high back. 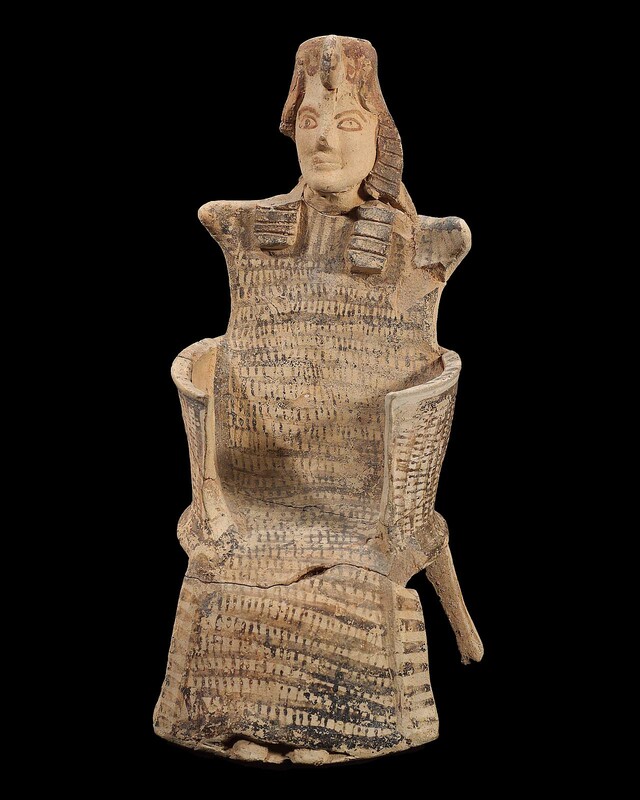 Chiton and chair decorated with dingy black vertical and horizontal lines. Eyelids, brows, eyes, hair and kalathos in same color. Broken in several places. Purple in kalathos. Table (01.7766) goes with it.